Crystal Bio is made from a glass substance. 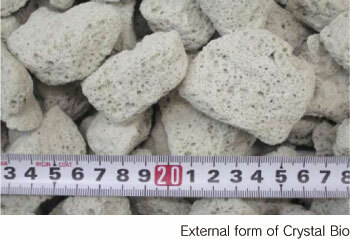 It has an extraordinary porous structure of light-weight ceramic, which is obtained by burning the mixture of glass substance particles and foaming agent at high temperature of 900 degrees. Excellent nitrification Crystal Bio has an extraordinary large amount of surface area because of its porous structure, which enables propagation of aerobic bacteria in it. 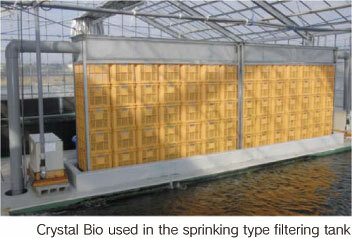 Crystal Bio itself is a little alkaline and can buffer the pH of rearing water. 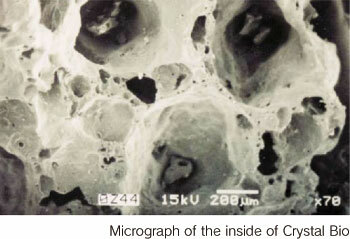 Crystal Bio is made up of small particles with a 10 to 50 mm in diameter. 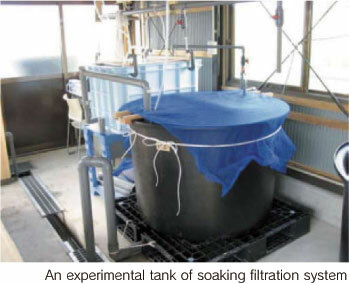 This small, light weight medium can fit into any filtering tank and would save a lot of trouble, filling and clearing. This product purifies the exisiting water, which means you arenﾕt required to use so much new fresh water to refill your pond with clean water. This will lead to a reduction of water heating cost because you will use the exisiting water. The blue line remains below 0.4mg/L level for a long time. 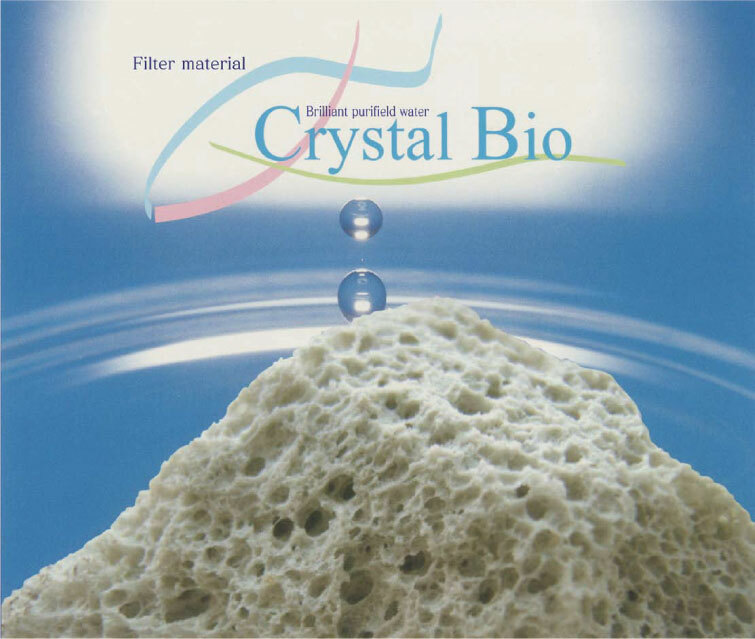 This result indicates that Crystal Bio’s porous structure is superior as a habitat for microorganisms including nitrifying bacteria. 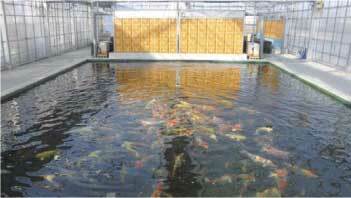 NO2-N concentration increases faster, and in greater amount, in Crystal Bio treated water than by a plastic filter. It suddenly drops after the twenty-eighth day after the beginning of the test. 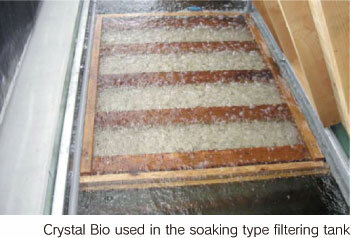 As for NO3-N concentration, it remains below 10mg/L by Crystal Bio treatment. The blue line shows that the pH of the rearing water treated by Crystal Bio gradually decreases and keeps the water within a weak alkaline level until the 26th day after the beginning of the test, and then is gradually acidified.